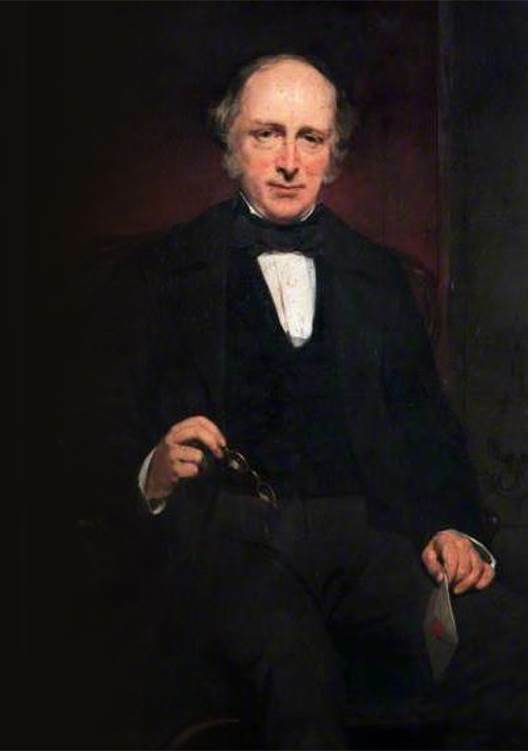 An enterprising chap (and future member of parliament) named Alexander Matheson founded The Dalmore Distillery in 1839, among the sloping fields of the Northern Highlands, at the banks of the Cromarty Firth, where bracing waters feed out to the North Sea. The area is known as The Black Isle, because of the dark and fertile farmland found there. In fact, The Dalmore (which means big field, big meadowland in Scotch Gaelic) was established on an operating farm. And from the jump, Matheson had everything he needed to make word class single malt: a plentiful barley crop, mineral rich water from nearby Loch Morie, and the cool climate of the north, ideal for whisky maturation. But things really got going in 1867, when Matheson turned over day-to-day operations of The Dalmore to the brothers Andrew and Charles Mackenzie. Andrew Mackenzie catapulted The Dalmore well into the future with his ideas about wood aging, introducing a 12-YR old whisky long before the competition. 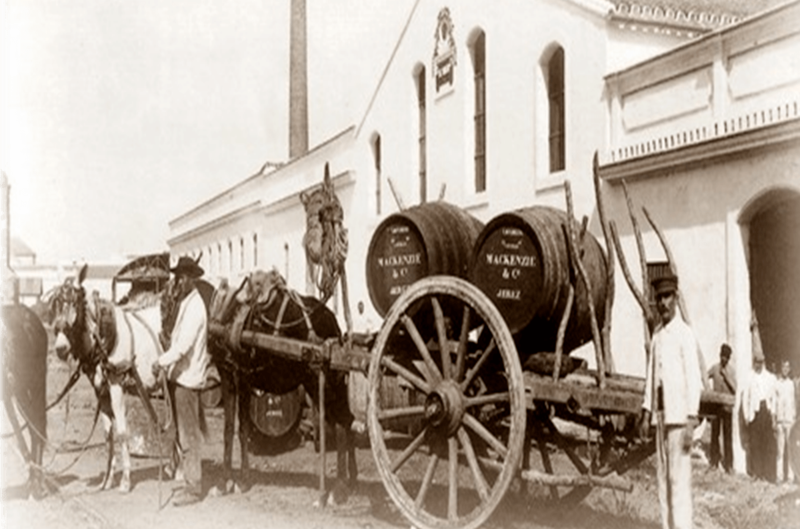 He developed business partnerships in Spain, ensuring access to pinnacle Sherry casks. There is written record of his experiments “re-racking in sherry wood,” anticipating today’s whisky finishing trend by over 100-years. But perhaps most noticeably, the brothers affixed their clan symbol to the bottle, linking The Dalmore to Mackenzie’s proudest moment. So the story goes, in 1263, King Alexander III—out with his hunting buddies—was charged by a 12-point stag. At the last moment, Colin Kintail of the clan Mackenzie leapt forward, and felled the stag with his spear. The grateful monarch gifted Mackenzie the symbol of the stag. This is the symbol Andrew and Charles Mackenzie bring to The Dalmore in 1867, and the symbol that adorns every bottle to this day. 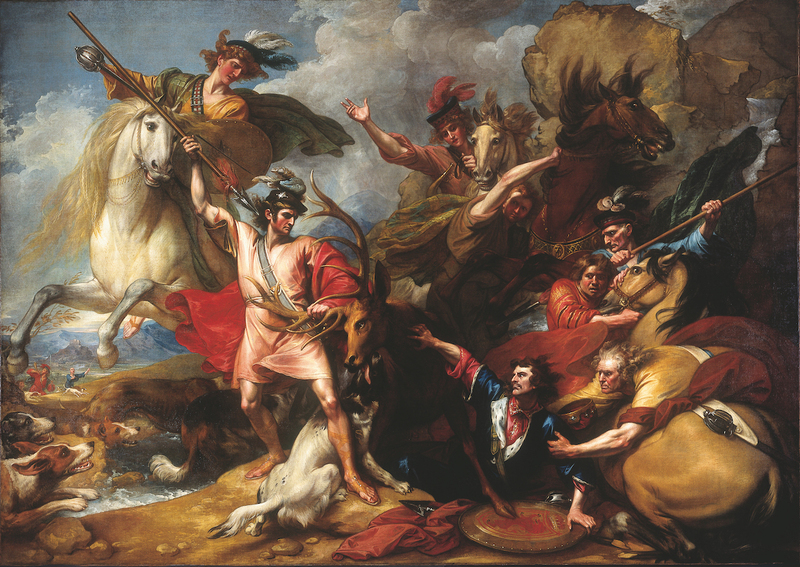 The Death of The Stag, painted by Benjamin West in 1786, hangs at the Scottish National Gallery, in Edinburgh. 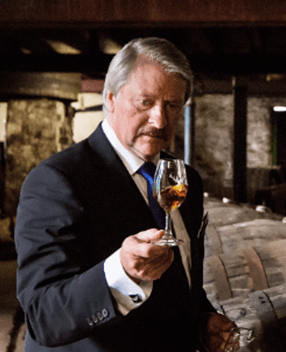 Richard Paterson, Master Distiller of The Dalmore, evaluates a cask sample. Not for nothing, the new spirit that goes into those casks is also pretty uncommon. The Dalmore has four pairs of stills, and all of them different sizes and shapes. It’s the only distillery in Scotland set up like that—a design after Willie Wonka’s own demented heart. But, with each individual still contributing different flavors to the spirit, the Dalmore is (perhaps accidentally) ideally suited for long maturation. All this careful stewardship yields delicious results. (Look, just because I’m biased doesn’t mean I’m wrong.) Next week, just in time for Father’s Day, I’ll share cask recipes, character, and pricing for all four of The Dalmore whiskies currently available at Mollie Stone’s Market.